Announced within the Facebook newsroom earlier today, the social network has rolled out the App Center within the United States and hopes Facebook users will explore the application collection for new apps. Designed to influence the amount of application installations, apps will list which friends have the app installed on their Facebook page or their mobile device. 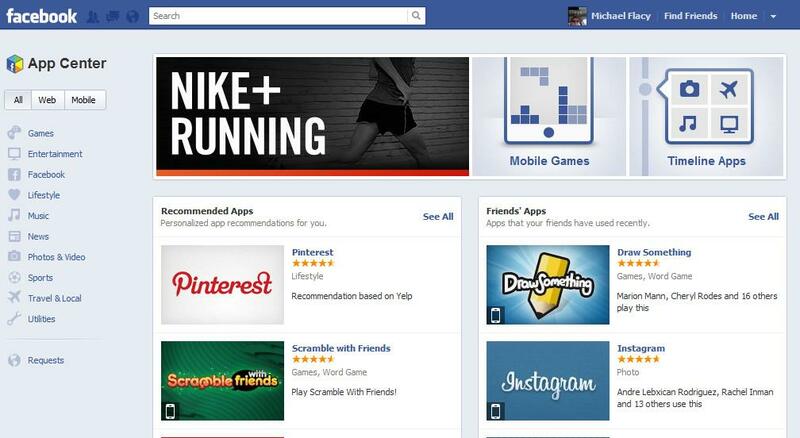 On the main App Center page, Facebook users can browse applications recommended by the public as well as applications that friends have used recently. This is particularly helpful when looking for friends to connect with when playing games like Words With Friends or using a social photo service like Instagram. 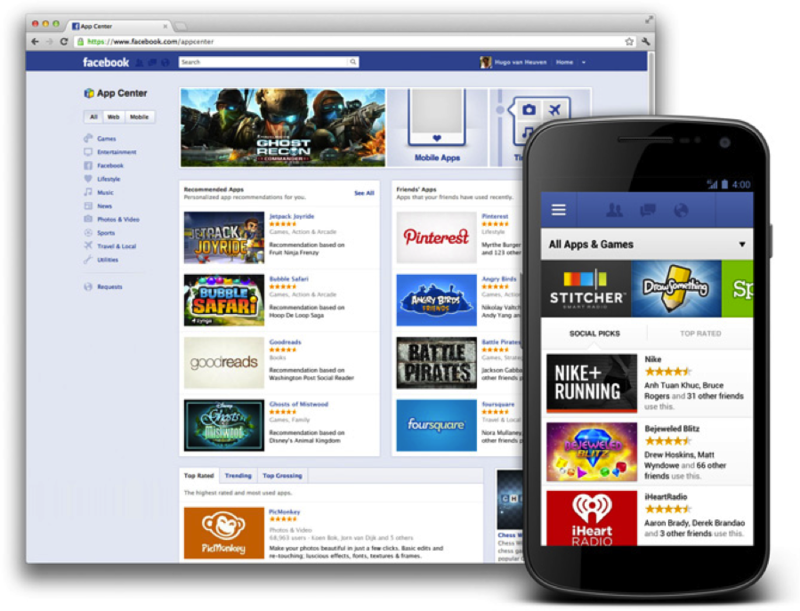 On the left side of the page, Facebook users can browse applications by categories such as games, news, music, entertainment, travel and sports. In addition, the user can isolate the apps collection between only Web applications or only mobile applications. At the bottom of the category list, the Facebook user will find current app requests sent from friends. 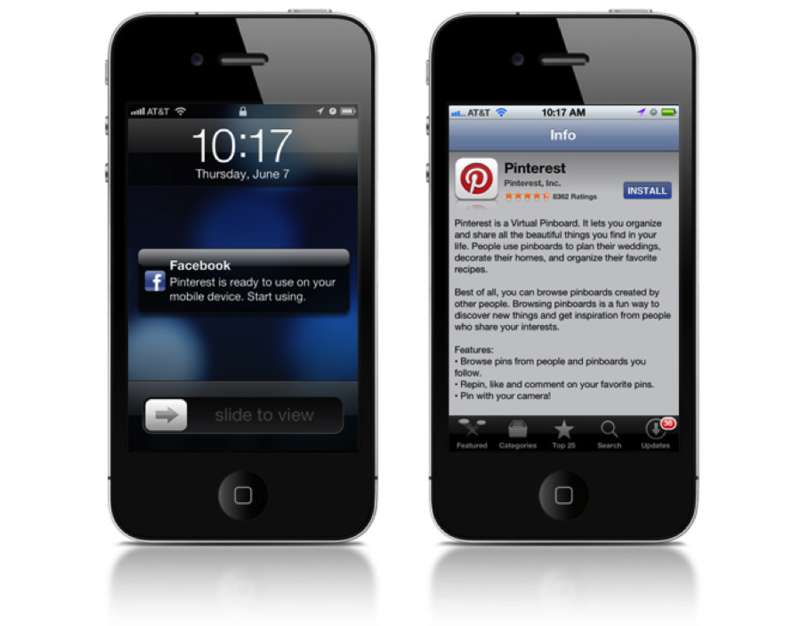 The user can choose to install the apps on that list to connect with friends or simply ignore those notifications. Scrolling down the main page, Facebook has included a list of top rated and most used apps as well as trending applications experiencing rapid growth and top grossing applications that have a large quantity of in-app purchases. Facebook has also designed a slider at the top of the page where apps can be featured as well as spots to feature applications along the right side of the page. Hypothetically, Facebook could sell positions in those areas to app developers that want to promote a new application for a short period of time. On the app preview page, Facebook users will find a detailed description of the app in addition to screenshots. Other information on the page includes publisher details, the total number of people that use the app and compatible platforms. On the right side of the page, users can install the app in addition to checking out what information and actions that will be allowed before clicking the action button. This is particularly helpful for users concerned about privacy and the amount of information that’s posted on their personal Facebook feed. Potentially decreasing the amount of people that discover applications through Apple’s App Store and the Google Play store, both iOS and Android applications can be installed directly from the Facebook App Center. By clicking on “Send to Mobile” on an application page, Facebook sends the user a notification to their mobile device. Upon clicking that notification within the Facebook mobile app, the user is routed into the App Store or the Google Play store to download the app. The app center has also been implemented into the Facebook iOS and Android applications. Similar to the design of the Web version, Facebook has included a scroll bar of applications at the top of the page in addition to social recommendations from friends and top downloads. There are definitely fewer category choices than the Web version as the user can only browse between apps or games. You can check out the Facebook App Center here.